CINCINNATI — A co-worker at Gold Star Chili was listing off programs that CityLink Center offers to help local families become more self-sufficient when Dawnielle Williams’ ears perked up. “When she said culinary, I said, ‘Oh, I have to do that,’” Williams said. 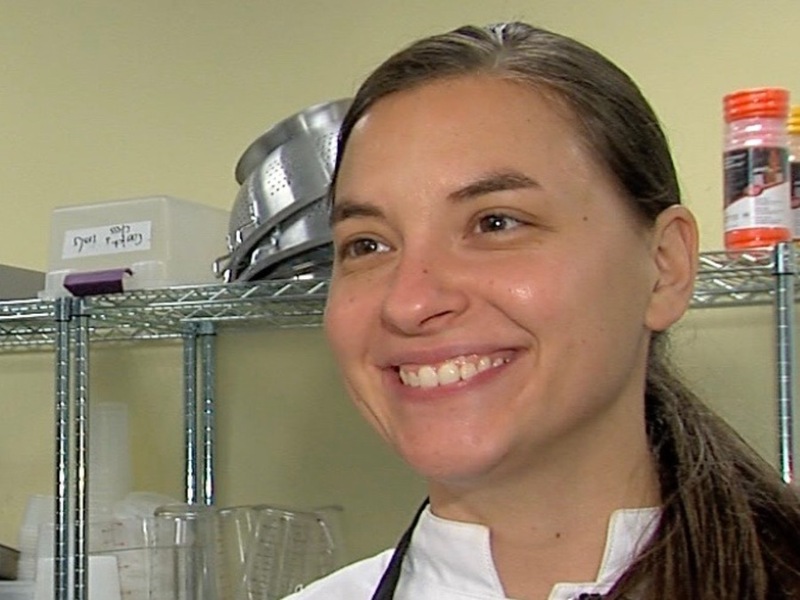 She quickly became one of the first five students to take part in the new Findlay Culinary Training Program , a collaboration of CityLink Center, Findlay Market and Model Group . The students just finished up a month of classroom and cooking instruction at CityLink in Cincinnati’s West End. 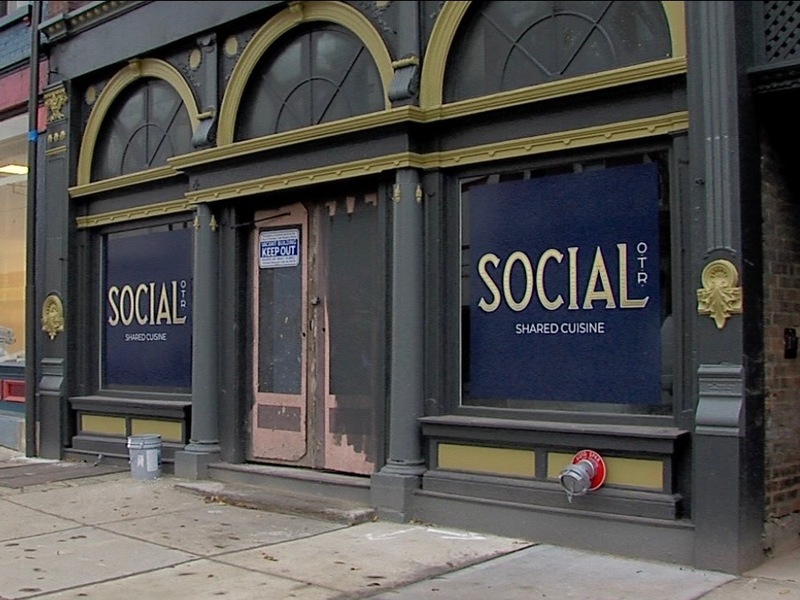 Next they will spend three months helping to launch and staff a restaurant called Social OTR set to open near Findlay Market. Findlay Culinary Training isn’t the only free program to help local residents develop the skills they need to work in the region’s food service industry. The Freestore Foodbank’s 10-week Cincinnati COOKS program has graduated more than 1,500 students since it began in 2001. What sets Findlay Culinary Training apart is the 12-week paid internship at Social OTR, a real restaurant that will be serving paying customers, said Dani Watkins, CityLink’s director of programming. The first two groups of students in the program will be working with General Manager Anthony Berin and Chef Jen Kempin to open Social OTR after the first of the year. Inspiration for the programs dates back a decade. A group with Crossroads Church was in New Orleans 10 years ago when they learned about a program called Café Reconcile . It’s a food service job-training program for young people between the ages of 16 to 24 aimed at helping them break the cycle of generational poverty. After CityLink opened in 2012 and began partnering with organizations to help people find jobs, manage their financing and improve their literacy skills, the time started to be right to offer specialized training, she said. The organization hired Catalyst Kitchens to conduct a study to determine whether there was a need for a culinary training program and whether other programs already were meeting the need, Watkins said. The study found that “the demand in Cincinnati now is so high that the existing programs can’t fill it all,” she said. CityLink launched a pilot program in January 2017 to test the idea, with four weeks of instruction and four weeks of work at Findlay Kitchen where they operated a pop-up kitchen on Friday and Saturday nights. Findlay Culinary Training developed from that. That way students know what the industry is really like before they get their first jobs, Berin said, and the program can assure employers that its graduates have that experience. Chef Lindsey Cook serves as director of culinary education for the program, overseeing what Williams and her classmates learn. To be eligible for the program, students must be 18 or older. They can have criminal records, Watkins said, and it doesn’t matter how long it has been since they were convicted of those crimes. They must pass an academic test to make sure they can read well enough to pass a test to be certified in the safe handling of food, Wakins said. They learn what Cook calls “culinary math” along with culinary nutrition. “It allows them to become a little more aware of food cost operations and how to basically create a recipe, how to measure, how to convert when you need to make more, make less,” she said. The beauty of the food-service industry is that all those skills can be taught to anyone willing and eager to learn, Berin said. The goal is for graduates of the program to earn $12.50 an hour or higher, Watkins said, adding that CityLink sees it as a step in the right direction for people to earn better incomes for themselves and their families. Berin formed a restaurant advisory council to offer advice about the program’s curriculum. The members of that council also will get “first peek” at the program’s graduates, Watkins said. “It creates a feedback loop for us if they notice there’s a deficiency with something they haven’t learned skill-wise,” she said. Students don’t pay anything for the training, she said. They will earn a stipend during their work at OTR Social, and they also get a knife set and the uniforms they need for work. But mostly, they learn the lessons they’ll need to succeed in an industry that can be demanding.